I love snow days. I love the quite of my home when the rest of the family is sound asleep. 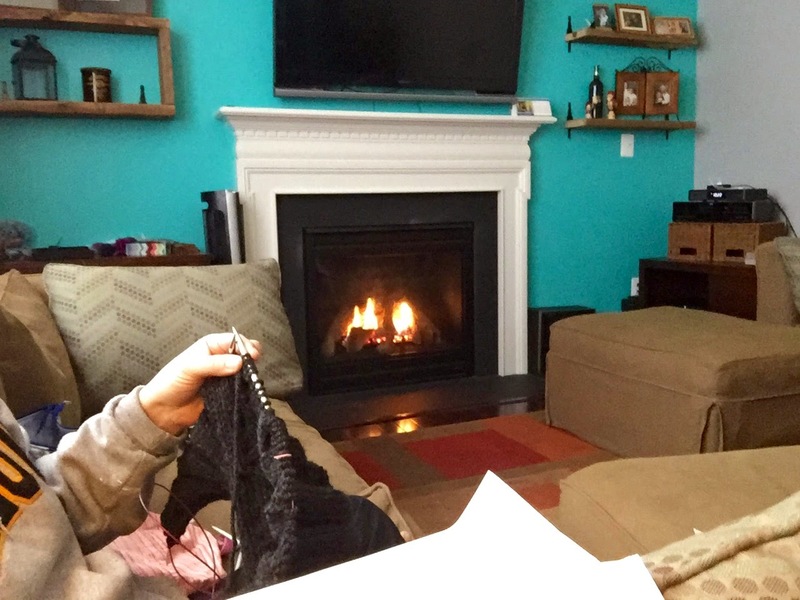 The peace and quiet, and ability to concentrate on a cabled sweater fireside. This poor sweater has been in hibernation for a long time because i couldn't find time to focus on it. As it turns out, I can't cable when my family is around. I spent the time entertaining distracting questions like, "Mom, have you seen my shoes? "; "Can you wash my work shirt? "; and, "what's for dinner?" I will inevitably mess the sweater up and have to rip back. The weather we have been experiencing, coupled with my family's love of sleep, has created the perfect environment for cabling the hell out of this sweater. This is my winter wonderland.